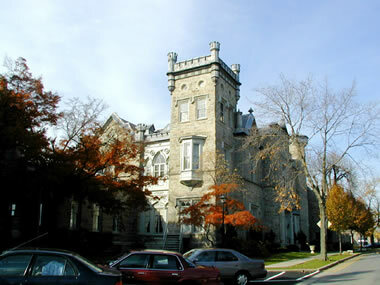 The College of New Rochelle, founded in 1904 by the Ursuline Order, is an independent College which is Catholic in origin and heritage. Its primary purpose is the intellectual development of persons through the maintenance of the highest standards of academic excellence and educational growth. From this tradition the College derives its dedication to the education of women and men in the liberal arts and in professional studies. Building on its original commitment to women, the College also reaches out to those who have not previously had access to higher education; it places particular emphasis on the concept of life long learning. The College is committed to a respect and concern for each individual. It seeks to challenge students to achieve the full development of their individual talents and a greater understanding of themselves. It encourages the examination of values through the creative and responsible use of reason. The College strives to articulate its academic tradition and religious heritage in ways that are consonant with the best contemporary understandings of both. It provides opportunities for spiritual growth in a context of freedom and ecumenism. No user commented in " College of New Rochelle "